A curse gathers in that place of death. Those who encounter it will be consumed by its fury. Nintendo Play is joined by Light Wang and Vincent Yang, Level and Sound Design at Red Candle Games, for the included Developers Commentary. 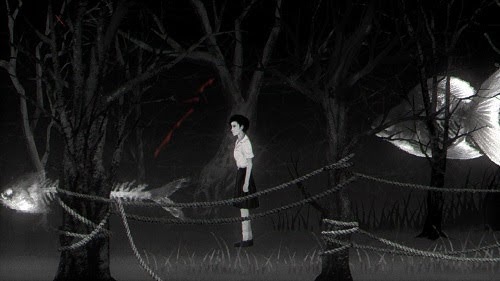 Another horror title lands on the family-friendly Nintendo Switch this week with Red Candle Games’ supernatural puzzle title, Detention. Releasing on 1st March at £7.59 and currently available to pre-order from the Nintendo eShop, if this side scrolling narrative point-and-click has you trembling under the bed sheets, who you gonna call? The Eastern cinematic portrayal of the supernatural is so vastly different to anything that Western production companies have managed to conjure up in the past. Steeped in cultural history from the start, there is something so spine-chillingly disturbing about the way ghosts and the possessed are given life, the sounds they make and the emotions they evoke that don’t always rely on visual cues to ramp up anxiety levels. These are the elements that Red Candle Games have attempted to channel into their newest title, Detention. Waking up at night behind your school desk in the middle of a typhoon, you are left alone to investigate the eerie circumstances that have led to you being locked in. With a river of blood surrounding the school, it’s clear that supernatural things are afoot. The journey for the truth will take you through the empty classrooms, barren hallways and deep into your own mind, but be warned, you are not alone. 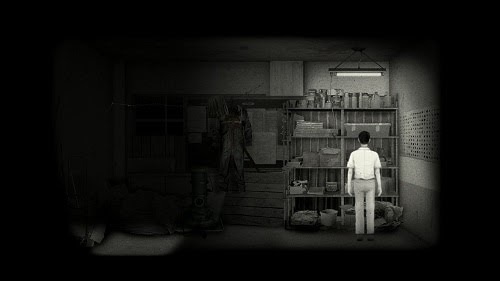 Taking place entirely in 2D, with a side-on perspective, you navigate your character around each room looking for objects and clues, highlighted on screen as you walk over them. 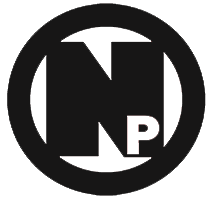 Objects are stored in your inventory, to be used on puzzles when required. Occasionally you will encounter scraps of paper, some acting as a tutorial while others fleshing out the games main narrative. These are also accessible, to be reviewed whenever required. There is, unfortunately, no touch screen support for this title, with the entire game being playable with either joy-con or pro-controller. The game does contain scenes of gore and the occasional jump scare but in true eastern horror film fashion it doesn’t rely solely on these to send shivers down your spine. Instead it opts for the surreal and creepy, unnerving you with sights and sounds so peculiar and abstract that you’ll find yourself more petrified at the prospect of what could possibly happen next. Light & Vincent: We’d like to call our game more of a shift toward the atmospheric/psychological horror for the same reason, the goal was to create immersive experience though graphic and sounds rather than repetitive jump scares. 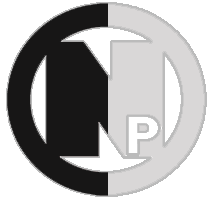 We actually started out with the design of zero jump scares in mind, nonetheless, while tension rises up, we felt it’s also necessary to release that pressure properly. That’s when we inserted the few jump scare scenes in the game from time to time. Fairly early on you are met with lingering other-worldly entities, patrolling the corridors of the school, hungry for your blood. Avoiding their gaze requires your character to hold their breath with the L2 trigger and tiptoeing past, trying your best not to be noticed. Hold your breath too long however and the screen will start to blur, gradually reducing your vision to a point when eventually you are forced to exhale, alerting any spectre in your immediate vicinity to your presence, requiring you to turn and find somewhere to hide or else become victim to their insatiable appetite. This sneak mechanic does an amazing job of building tension and cranking the fear factor up to 11 as you’re never sure if you’ll be able to hold your breath long enough to sneak past. For some unknown reason the game completely abandons this mechanic almost as soon as it is done fleshing it out, with a large portion of the title instead opting for narration and creepiness over fear and suspense. Light & Vincent: The structure of Detention can be viewed as the deconstruction of horror literature. You may wonder, what remains at the end of a horror story? It may well be a reflection of the reality dark side, such as being bullied by others or dying with resentment. We chose to apply the fashion of horror literature, utilizing the first two chapters as the introduction for the audience to immerse in the horror world that we built; for the last two chapters, they serve as the transition to dig out the cruel truth behind horror. 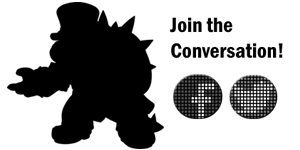 In order to shift the attention to protagonists’ mentality and the plot, distraction such as the Lingered, Lantern Spector are eliminated from the later part of the game. Detentions story is more like a narrative jigsaw, each part contributing, gradually adding to the bigger picture, giving you peeks and guesses at the whole story until eventually, everything comes together. The story flows well and could easily be a movie in its own right, with the game's length of around 2.5 hours already around the average time of a feature film. Much like watching a foreign film in its native language with subtitles enabled, there are the occasional narrative foibles when it comes to the games English translation. While the text never contains any spelling or grammar errors, or even poor use of the language, there are sentences that just simply are a bit peculiar in their context. These moments of being lost in translation don’t steal away from the story too much, but the narrative is so dynamic that you need to make sure you are always paying attention, or risk losing track as the storyline twists, turns and develops further. Light & Vincent: Much like watching your favourite films in their native language with subtitles enabled, there are the occasional narrative foibles when it comes to the games English translation. While the text never contains any spelling or grammar errors, or even poor use of the language, there are sentences that just simply are a bit peculiar in their context. These moments of being lost in translation don’t steal away from the story too much, but the narrative is so dynamic that you need to make sure you are always paying attention, or risk losing track as the storyline twists, turns and develops further. Puzzles are well thought out and not overly difficult. Due in part to some excellent level design, finding clues and objects will cause you to almost immediately lead you to know where and how they should be used, avoiding any instances of wandering around aimlessly or resorting to trial and error as is the case with some point-and-click puzzle games. Loading times are the games only real weakness, with the game heading back to a loading screen every time the player walks into the next room. While each loading screen only appears for 4-7 seconds these soon add up due to the sheer amount of times you find yourself transitioning into the next scene. If Red Candle Games could reduce loading times, even by a little, it would go a massive way in contributing to the impact and delivery of the games main narrative. 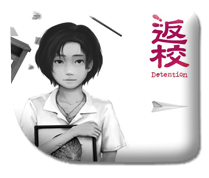 Light & Vincent: Red Candle Games took part in the UI design and decision making of Detention's Switch porting. As for the actual porting work, it's done by our publisher Coconut Island. Coconut Island have confirmed that an optimzation patch will be submit this week and uploaded in the coming weeks. The games art direction is fantastic, featuring a mixed media of both hand-drawn pictures and photos being used for background and foreground elements. Characters are portrayed almost like paper marionettes, moving around with an almost staccato feel to them. Music and Sound effects compliment the art style perfectly, with mixing modern music with traditional Asian instruments to set the mood. Detention is everything a fan of Asian Horror Cinema would look for in a narrative driven interactive movie. 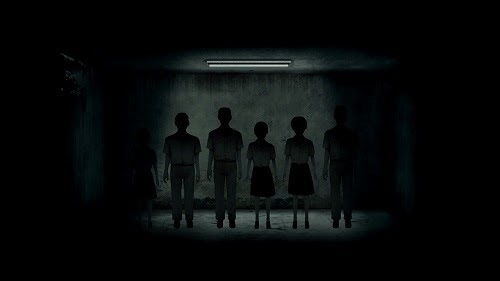 The 2D graphics ooze creepy charm, its audio elicits just the right amount of fear and caution and its overarching theme is just twisted enough to sufficiently freak you out; If overall loading times were reduced slightly and a few more elements of suspense added, Detention would be an instant must-buy classic. Even in its current state however, it’s a brilliant, frightening tale at a quality price point and a definite recommended purchase. Many thanks to Light & Vincent for their discussion during this review. + Beautiful eerie music and art direction. - Lots of loading screens.